Want to wake your family up with the perfect breakfast muffin? Not talking nutritiously perfect, just deliciously perfect. 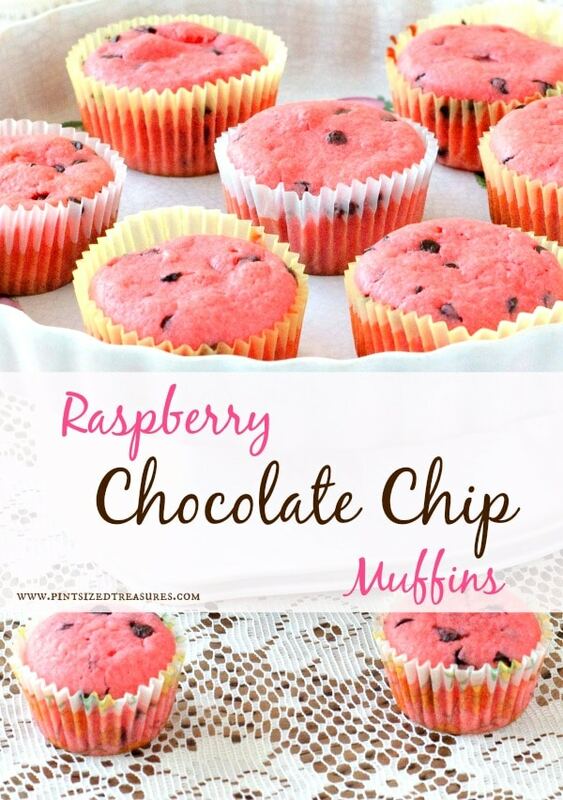 ENTER: Raspberry, Chocolate Chip Muffins. Any muffin with chocolate chips is a must-bake, right? This would fit in the LAZY Saturday when the whole family is sacked out and you sneak into the kitchen to suprise everyone with sweet and mouth-watering smells that waft down the hall and into their bedrooms. Yep. This morning, you are SUPERMOM! And who knew it only took a muffin to gain you this glorious title? Or better yet, make them on Friday night so you can enjoy a few more cuddles with your hubby and kids on Saturday morning. Breakfast in bed is a cinch if you plan the night before! Did I mention this muffin has chocolate chips? Mmmm…chocolate. Of course my toddlers call these cupcakes, and understandably so! These are much more than a muffin and to be called thus would be ever-so-wrong. But today, for your sake, we are calling them muffins. Plus, there is a simple, secret ingredient you probably have in your pantry — if you’re a mom with kiddos. If you don’t have this ingredient, try switching it out for four tablespoons raspberry jam or 1 cup of fresh raspberries you have sweetened. So, without further adieu, here’s the recipe and secret (Shhh!) ingredient. Ready? Preheat oven to 375 degrees. Spray, grease or line muffin pans. In a large bowl, cream together butter, sugar, jello and salt until light and fluffy. Beat in the eggs one at a time. In a separate bowl, mix together the flour and baking powder. Beat in the flour mixture alternately with the buttermilk, mixing just until incorporated, over-mixing creates less airy muffins. Fold in chocolate chips and mixed berries. Spoon into muffin cups and bake for 30 minutes or until golden brown. Yields: 12 regular-sized muffins. Enjoy! Feel free to leave your comments or suggestions about this recipe! We desire to help moms have fun in their kitchen. Any new tips or recipes are always welcome!